An alumunus of St. Stephen’s college, Delhi University, Shivdutt Sharma graduated with Honours in History. He did his post-graduation in English Literature. 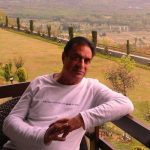 He has worked as a Senior Copywriter and subsequently as a Creative Director with several advertising agencies of Mumbai. He is now an Editor with a publishing house. His earlier published works include six books for children that impart moral and spiritual values; a personal memoir of his early days in Mussoorie, titled The Hill Billy; and a mythological romance titled The Triumph of Love – the immortal tale of Savitri and Satyavan. His latest work is Damayanti – She who spurned the gods all for love of Nal. Shiv presently resides in Mumbai.